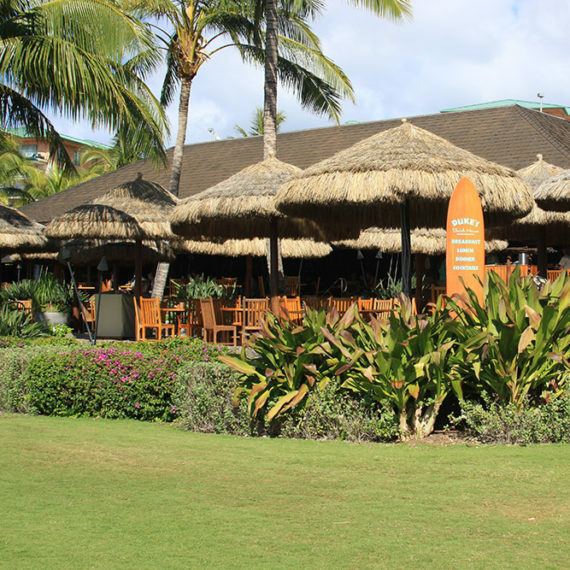 Traditional Chickees: Safari uses only freshly harvested Sable or Cabbage Palm fronds. these are natural, renewable, eco-friendly resources where harvesting promotes growth. 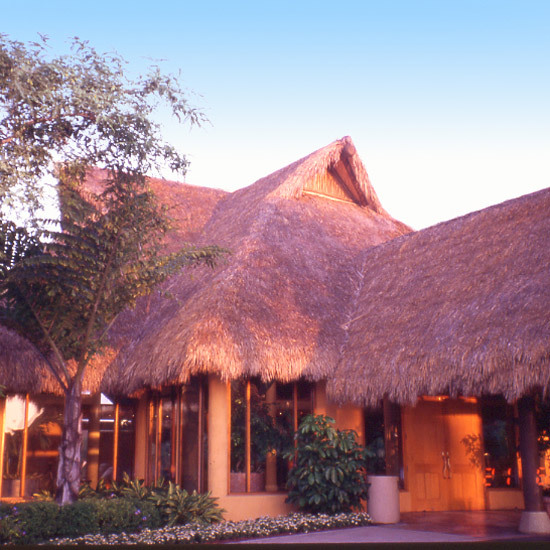 Unlike Safari’s other thatching systems, traditional chickees required trained installers, and as a result, this option is only available for our south Florida customers. 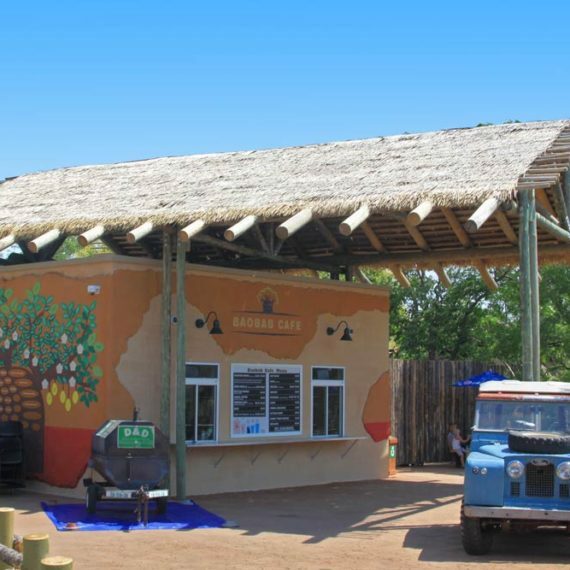 As a part of this building system, Safari uses superior Eucalyptus poles rather than traditional cypress. Not only does eucalyptus have far better structural properties, but Eucalyptus is one of the fastest growing, plantation grown, structural timbers there is, whereas the soft, rot-prone cypress poles traditionally used, destroys everglades habitat when harvested. 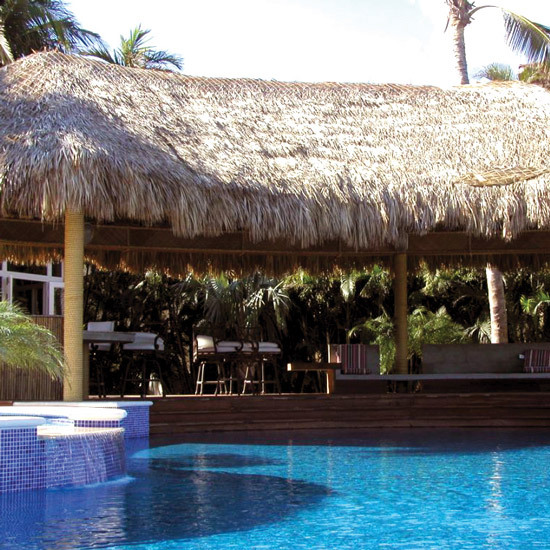 Our palm thatch roofs are 100% waterproof without the need of a subroof system, although for certain applications, a subroof can still be necessary. Safari’s spray-on fire retardants work really well with palm thatch, so even if you haven’t purchased your chickee from us, you can still use our fire retardant. 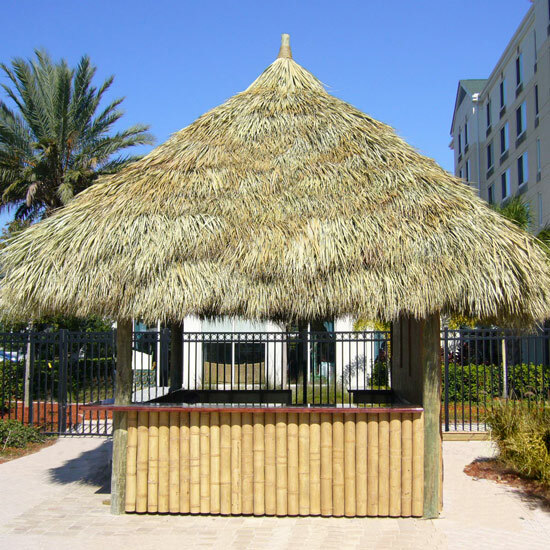 Durability: A traditional chickee will last 10 years according to the Seminole Tribe of Florida, with rethatching done every five years. 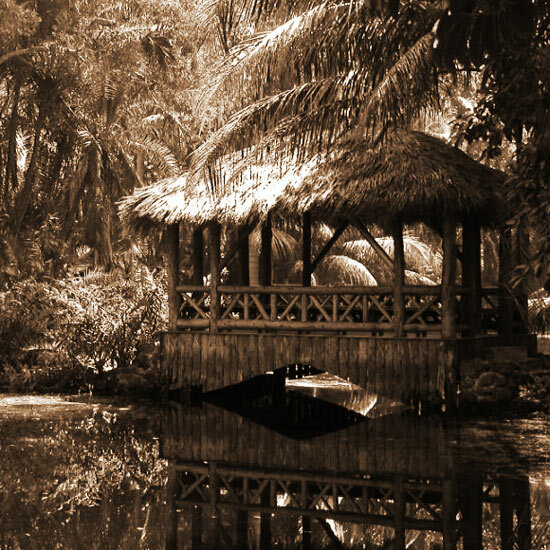 A well installed Safari chickee should last at least 15-20 years structurally due to the use of Eucalyptus, although the palm fronds still need to be replace every 6-7 years or so. Roof pitch and thatch density affect longevity significantly. Ease of Installation: Trained tradesmen required, but as this is an unregulated trade, consumers must be extremely selective about who does the structure. There are numerous shortcuts that can have terribly adverse affects on the lifespan and structural integrity of your chickee. Talk to a Safari account representative to get more information. 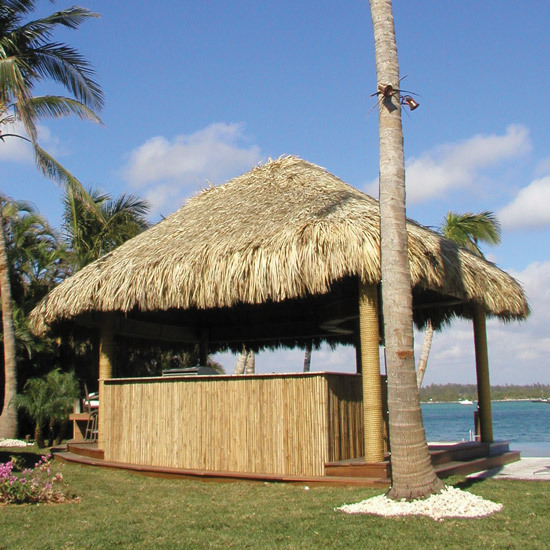 Materials: Cabbage or Sable palm thatch, Eucalyptus structural poles. For a more exotic look, try Peeled Cedar poles as signature statement posts.